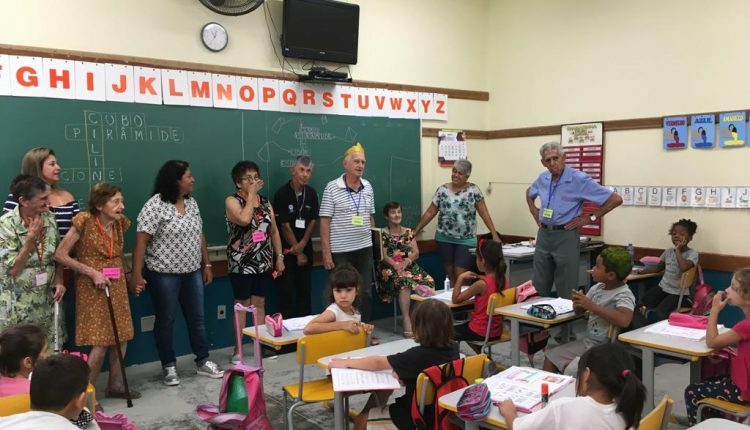 The elderly of the Day Center “Osmar Carneiro” participated in a meeting of generations with the students of the municipal school “Professor Irineu Espedito Ferrari”. The initiative of the Municipality of Jaguariúna, through the Department of Social Assistance in partnership with the Secretariat of Education, was full of lessons and interaction. According to the Department of Social Assistance, the principle was initially to take the elderly just to get to know the “Literary Cart” that is in place. However, the experience has become even larger and more aggregating. The elderly enjoyed the story “The Japanese Emperor” staged by Professor Alessandra and participated in a dynamics based on the theater. Then they went to the Library, where the professor of Biology and Environment made a point of showing the examples and other objects of study in space and its operation. After enjoying a breakfast offered by the school, the elderly were presented the “Literary Cart”. With a very didactic presentation about the operation of the project, they took advantage of some of the copies of the cart. Finally, the children of Elementary School, said goodbye to visitors with a song. To surprise, the staff of Centro Dia entered the mood and as a form of thanks sang the song ‘Happy Child’. Details on older people's involvement: Conforme a Secretaria de Assistência Social (Andréa Dias Lizun), a princípio o objetivo era levar os idosos apenas para conhecer a “Carreta Literária” que está no local. No entanto, a experiência se tornou ainda maior e mais agregadora. The elderly were presented the "Literary Cart". With a very didactic presentation about the operation of the project, they took advantage of some of the copies of the cart. 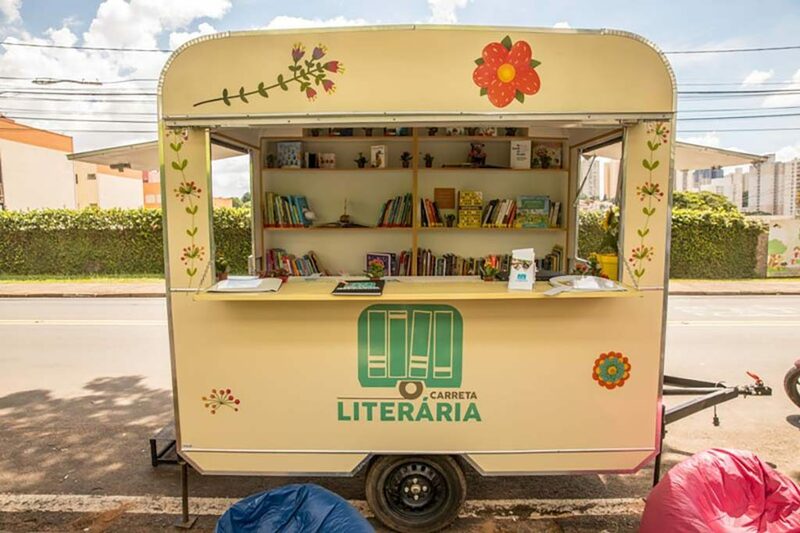 The Literary Cart is a mobile library of the CPFL Institute program, which is in town for a year round through several points of Jaguariúna with books full of fantastic stories. The project is free and aims to encourage hunger by reading, borrowing books and promoting the training of appetizing readers. Gather generations far apart from each other, and bring together the knowledge and experiences of each epoch and align with the current moment.